Only 1,835 Cadillac ELR Coupes have sold in North America over the past 18 months. NEW YORK (Bloomberg Business) -- The first electric Cadillac in the brand’s long history, the ELR Coupe, is a wonderpod of clean energy and baronial features -- and yet it's selling like a rusty old Chevette. 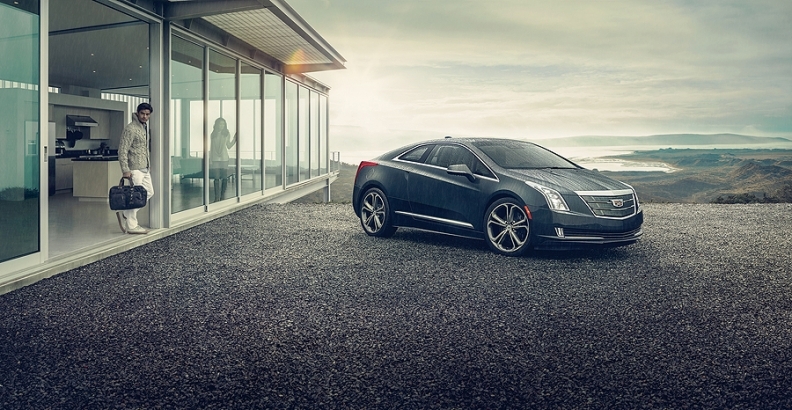 Only 1,835 Cadillac ELR Coupes have sold in North America over the past 18 months. Dealerships in the New York City area are hawking the ELR for just under $50,000, a whopping 35 percent discount from its sticker price, according to TrueCar, an web platform that lets shoppers lock in a price before visiting a dealer. "One thing is fair to say: We've had a great learning exercise with this car," said Cadillac marketing chief Uwe Ellinghaus. Many electric cars are selling below their sticker prices at the moment as low gas prices lure drivers to bigger, less fuel-efficient vehicles. The drop off on the ELR compared to its peers is exceptionally drastic. The ELR’s main problem is that the Cadillac’s green technology -- the battery and powertrain -- can also be found in the Chevrolet Volt, a corporate cousin that has a sticker price of just $35,170. It takes quite a lot of lush cockpit leather, LED headlamps, and olive wood trim to justify a two-fold price hike. Cadillac set the initial price so high, in part, to reflect the opulent appointments offered standard, rather than as extra options. "The MSRP was, indeed, a mouthful," said Ellinghaus. "We overestimated that customers would realize our competitors were naked at that price." The electric Cadillac is also somewhat unconventional even among other green machines. While most hybrids burn gas to propel the wheels, the ELR fires a conventional engine primarily to recharge the vehicle’s batteries on the fly. It's a system GM calls “electric drive,” even though it involves a 9.3 gallon gas tank. Cadillac says the car gets somewhere around 82 miles per gallon. But on long trips where gas kicks in to recharge the battery, a gallon in the ELR stretches for as little as 33 miles -- a decidedly faint shade of green in today’s car market. Of course, Cadillac had its reasons for the lofty price on the window sticker. There was the obvious economic rationale of trying to split customers by willingness to pay. If Cadillac priced the car too close to the Volt, environmentally minded drivers willing to spend close to six figures for a vehicle might have simply chosen the cheaper offering. And then there was the marketing rationale. A price nearing $80,000 seemed like a good way to signal all that the valuable Cadillacness to customers, everything from the badge on the grill to the heated steering wheel and 10-speaker Bose stereo. The ambitious price planted the car firmly in Tesla territory. "We just wanted to make this a statement for the brand of how progressive we are," Ellinghaus said. Neither theory worked in the real world. Potential customers viewed the ELR either as a laughably expensive Volt or a perfectly nice Cadillac with a less-than-luxurious powertrain. The whole was even less than the sum of its parts -- more than $26,000 less, according to discount data from TrueCar. Cadillac, it seems, has learned its lesson. The 2016 ELR will start at a much more humble $66,000 (before federal incentives) while getting a stiffer suspension and performance boosts that should leave the Volt in the dust. With some software programming and other tweaks, horsepower will jump from 217 to 233 while peak torque cranks from 295 pound-feet to 373. In the meantime, however, there are some screaming deals to be had on outgoing ELRs.